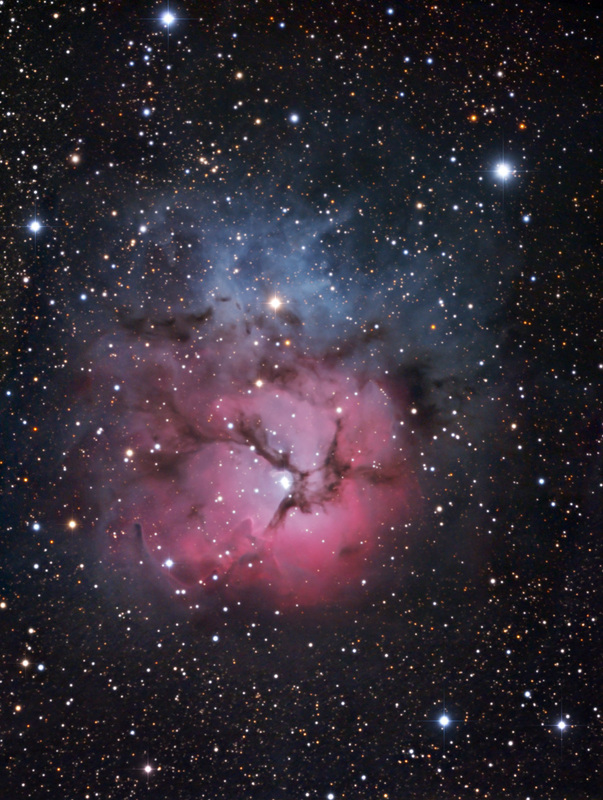 The Trifid Nebula in Sagittarius; wide-field image. Below, a higher-resolution closeup. 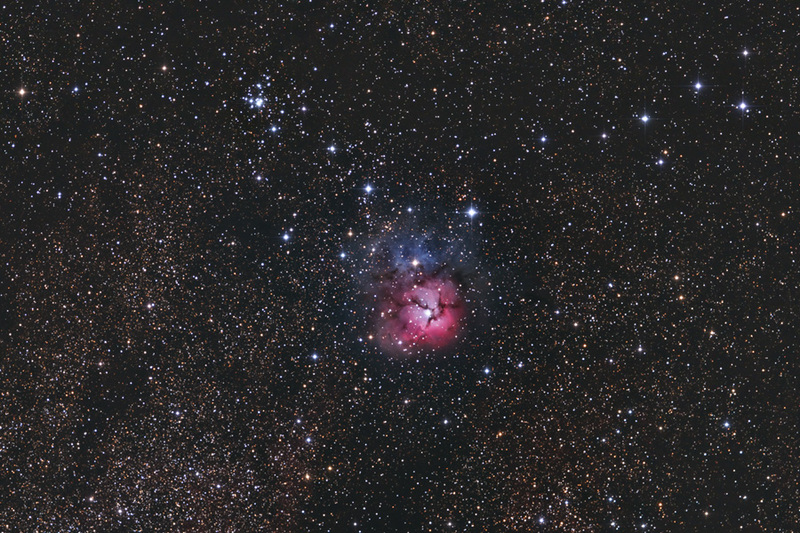 11-inch Schmidt-Cassegrain telescope at 560mm and 2,800mm focal lengt; astro-modified DSLR camera.